Is that what beefcake means? And, here I was thinking it was something cooking related. I am SEW behind the times, aren’t I? Oh, those obesity charts are just awful!! 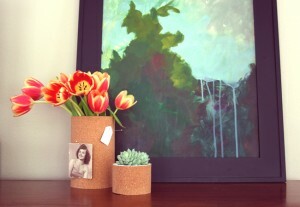 The cork wrapped can is a great Father’s Day craft idea! I think I may help my little girl make Daddy a new pencil cup for his office.